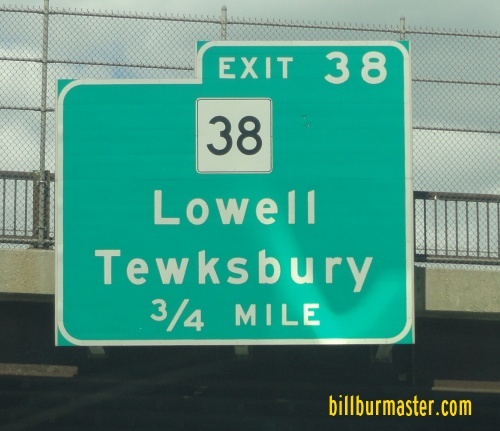 Massachusetts State Route 38 is a north-south highway in Northeastern Massachusetts. It runs from the Massachusetts/New Hampshire State Line to Charlestown. MA St Rt 38 passes through the following towns in Middlesex-Suffolk Counties. MA St Rt 38 is multi-plexed in Middlesex-Suffolk Counties. Massachusetts State Route 110, at Lowell. Massachusetts State Route 129, near Wilmington. 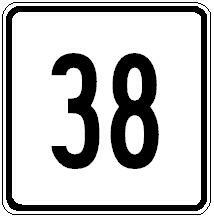 MA St Rt 38 intersects the following highways in Middlesex-Suffolk Counties. Massachusetts State Route 113, near Dracut. Massachusetts State Route 133, at Lowell. 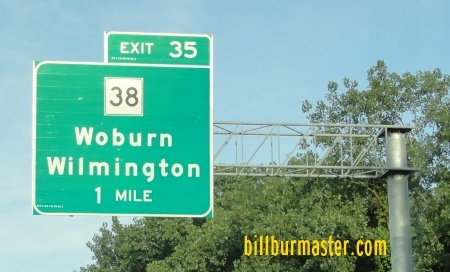 Massachusetts State Route 128, at Woburn. 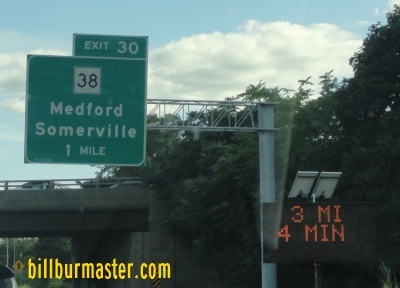 Massachusetts State Route 60, at Somerville. Massachusetts State Route 16, at Somerville. 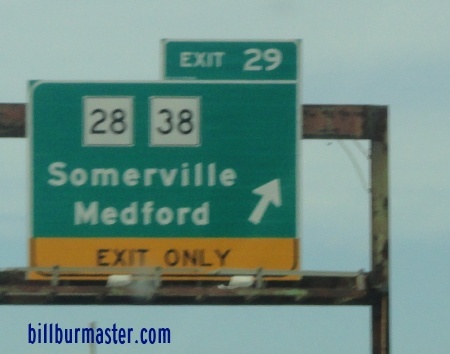 Massachusetts State Route 28, at Somerville. Massachusetts State Route 99, at Charlestown. A BGS on SB I-95/MA St Rt 128.